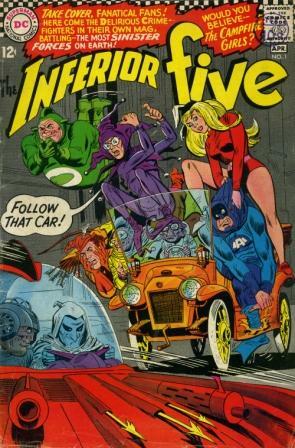 The Inferior Five absolutely needs to be collected as a trade paperback. 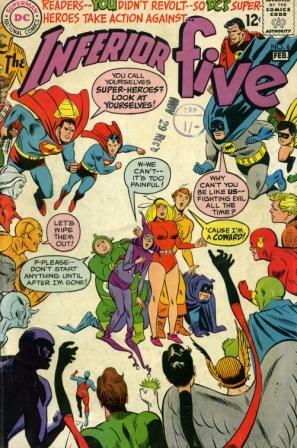 My edition of the DC Universe guide doesn’t even include them (though Ambush Bug is in there). 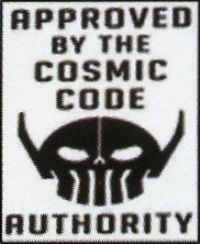 Great to see the Blimp in “52” and also Merryman in Final Crisis … even if they did get the colours of his costume all wrong. Agreed. A hardcover book like the recent “Herbie” ones would be nice. If you ever visit the furthest corners of the DC Universe look out for “The Maniaks” which was a Showcase trial, “Angel Love” (which was adult in plot if not in art) and the OZ-Wonderland war which was an underrated finale/mini series of “Captain Carrott” !! !